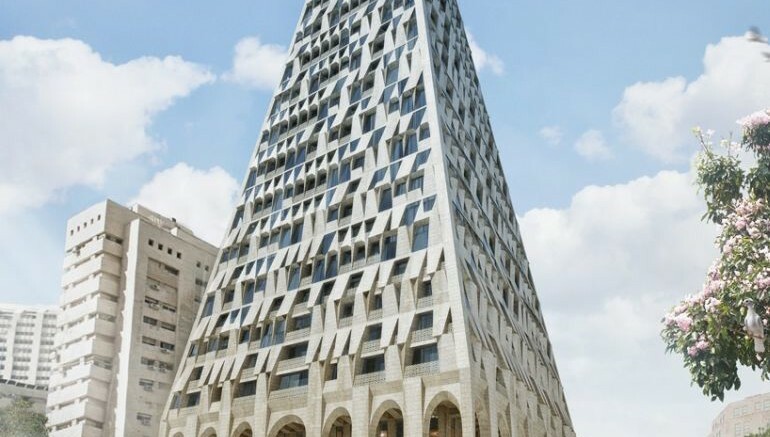 The plan for a stunning glass-and-stone skyscraper, right in the heart of Jerusalem, has been recently approved by the city council. 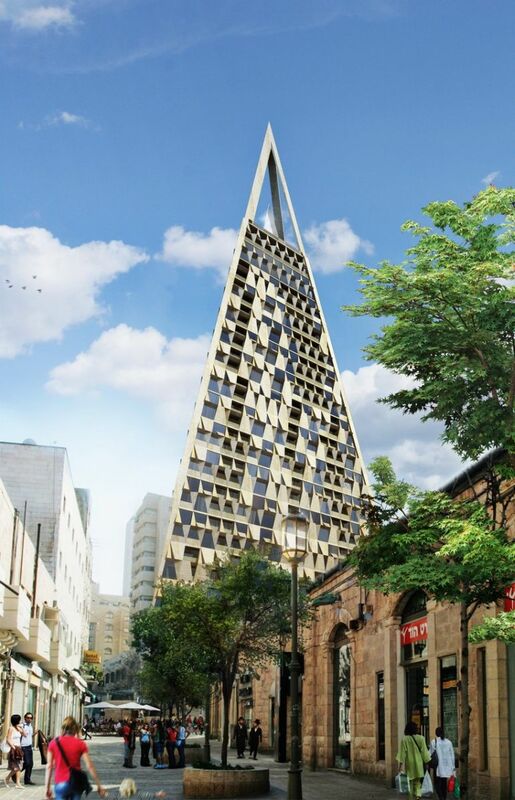 To be built in the vicinity of the Mahane Yehuda market, also known as “Shuk”, the aptly-named Pyramid is envisioned as a triangular mixed-use tower, which will likely become the second-tallest building in the ancient Israeli city. 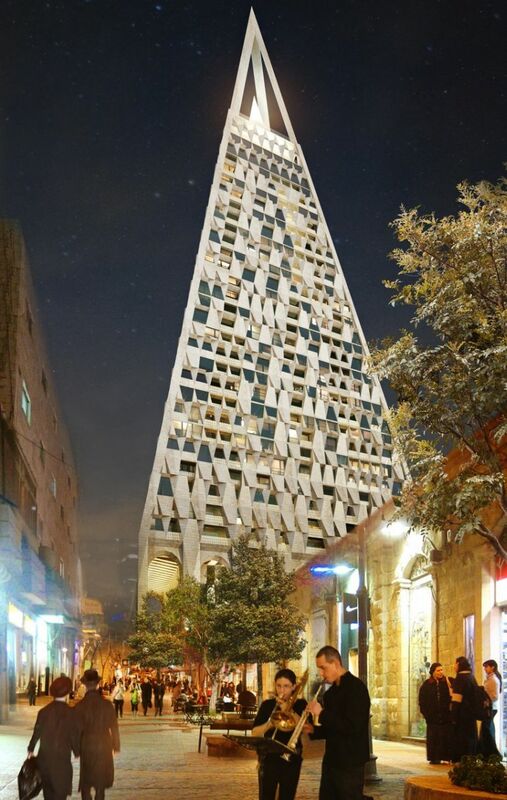 Designed by Studio Libeskind and Jerusalem-based architect Yigal Levi, the 345-foot (around 105-meter) tall tower will feature a combination of residential units and commercial spaces. According to the developers, the proposed structure will house as many as 200 apartments, an expansive ground-level plaza lined with shops and other retail units, a luxury hotel and restaurant and a rooftop observation deck with breathtaking, panoramic views of the historic city. The Pyramid mediates between ancient traditions and myths, while providing a 21st century reinterpretation of that great form. The design complements the context and gives the neighborhood a vibrant public space in the heart of the ancient city. 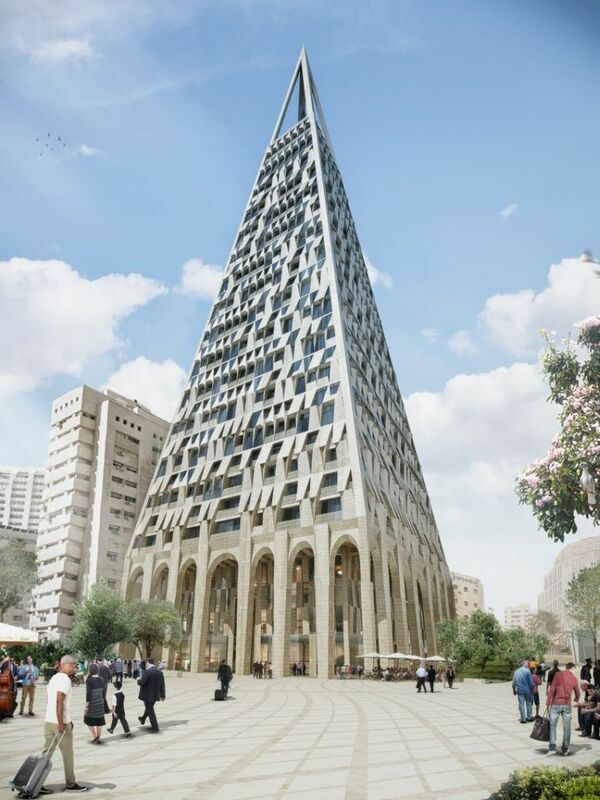 Slated to open by the year 2019, the Pyramid will eventually become a prominent public space, for locals and tourists alike. To learn more about the project, head over to Studio Libeskind’s official website.